i deal with unwanted facial hair everyday, it’s so demeaning for me. Would love to try it!!! I would really love to try this new prodcut. I’d love a sample! Thanks! Boy, I hope this stuff works. I would be happy to try it! Would love to try this product!!! 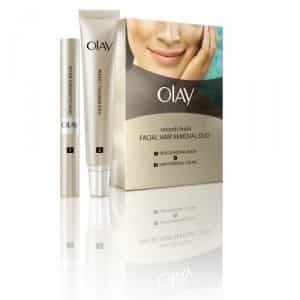 I am extremely interested in trying the oil of olay facial remover and free sample is awesome! were is the “click here”?? i wonder if this works better than laser hair removal?? I’m really excited to try it! I would love to try it! This is something a lot of women need. I use Oil of Play everyday. It is a great product! I also hope to try this product. I too LOVE Olay ! if this stuff works, maybe I wouldnt have to shave everyday. I use ALL Olay products!!! And really love them all. I am very excited about trying this Facial Hair Remover. My wish for me is a free sample. Hope this works sure could use it. Wouldbe very interested in trying this new product, have had great success with other Olay products. Sent my e-mail. Love Olay products..
Am anxiuos to try their product- have tried other products like Nair, and they burned my face.Thank you very much!!!! Would like to try this. Oill of Olay really Rocks! i can’t get any thing to work on this i guess i’m not doing some thing right. I love olay!I use Olay soap everyday!I love it! I feel if it comes from Olay good chance it really works. I would like to try this, I trust Olay so I expect it to be a good product. Not sure want this is about but I do like Olay products. I look forward to trying this. Unwanted facial hair is such an embarrassment to me. Thank you for the opportunity to try. I’d really love to try this. the prescription hair removal sure didn’t.